Loen Skylift - from fjord to sky in 5 minutes. 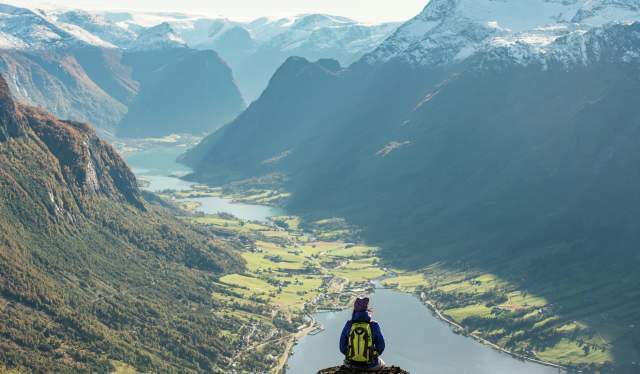 See the Sognefjord, the Geirangerfjord, Bergen and Ålesund – and now also the new top attraction Loen Skylift – in just one fantastic tour. Without a car. Great links with public transport connect these attractions and let you experience it all from the passenger seat – relaxing and just taking in the view. A spectacular new attraction and adventure arena, at the inner part of the Nordfjord, in the heart of Fjord Norway. 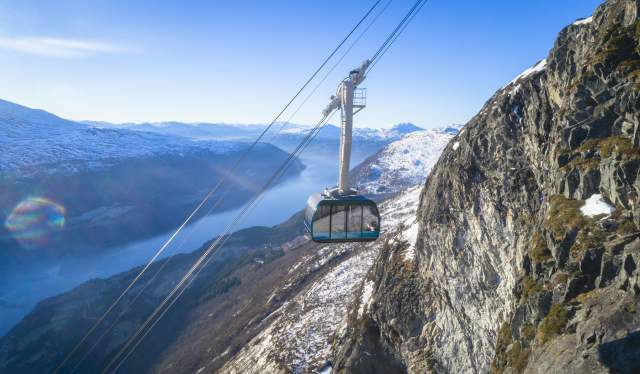 A cable car will lift you from the fjord to 1011 m. Here you can enjoy the views of the fjord landscape - from the restaurant table, while hiking in the mountains or while taking part in one of the other activities on offer. Hiking at Mt. Hoven - Loen Skylift. 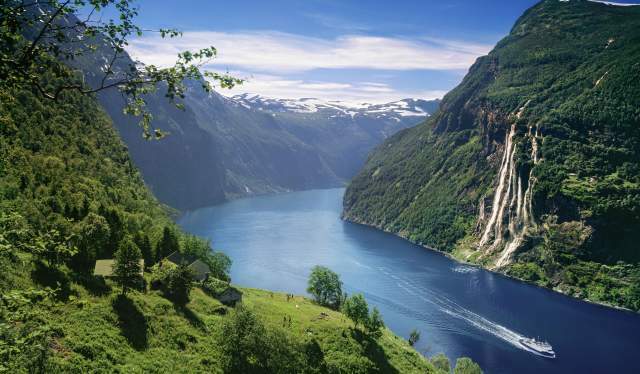 The Sognefjord-Geirangerfjord UNESCO Fjord Bus Tour is the ride of a lifetime through the most spectacular fjord regions in Norway, packed with towering peaks, roaring waterfalls, charming villages and idyllic farmland. Hop off the bus for an overnight stay along the route to soak in local atmosphere before riding on. Pressed for time? No problem — take a one-day round trip. Snuggled in the inner Geirangerfjord, Geiranger village tempts visitors to linger with a slew of activities, including kayaking, RIB boat trips and fjord cruise safaris. Or, simply relax — fjord-side. The Geirangerfjord is included on the UNESCO World Heritage List, together with the Nærøyfjord, since 2005. 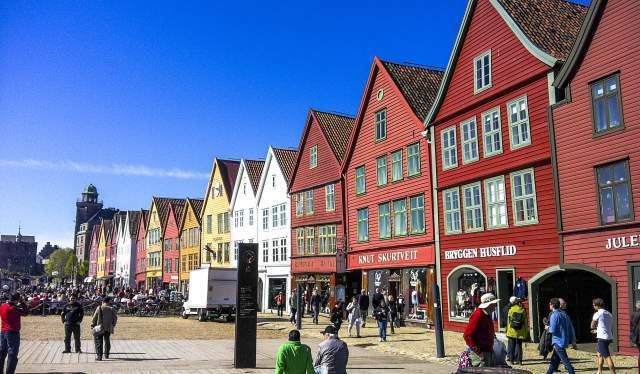 Bergen is Norway´s second largest city, and lies clambering up the mountain sides, overlooking the sea. 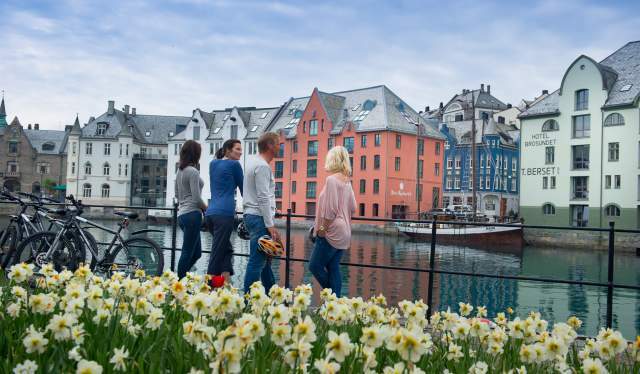 A city of culture and heritage, home to the UNESCO site Bryggen and the Troldhaugen, home of composer Edvard Grieg. Where magnificent architecture meets the fjord landscape — Ålesund has wild Viking ancestry, an abundance of succulent seafood and jaw-dropping vistas. 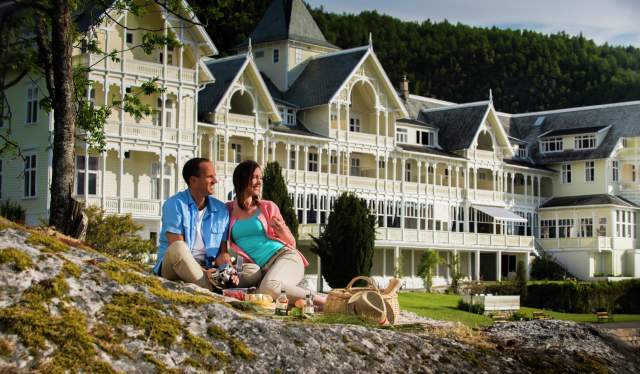 The Sognefjord boasts some of the most romantic hotels in Norway, and not least with the best views. 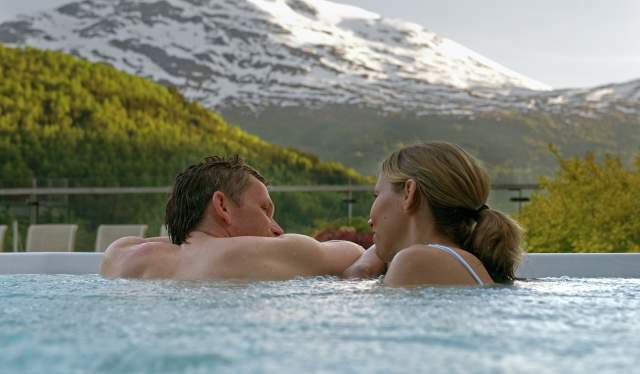 Spoil your special someone with a romantic stay at Kviknes Hotel in Balestrand, or Fretheim Hotel in Flåm. 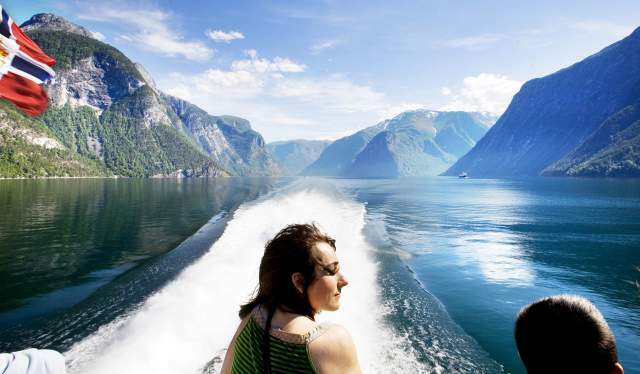 Experience all of the above on the Sognefjord in a Nutshell & UNESCO Fjord Bus Tour. and chances to stay in stunning hotels and locations.